If you walked into a restaurant and saw yourself in a photo on the wall, maybe you’d be flattered, or perhaps slightly embarrassed if it’s not a great likeness. You also might not really care. One California woman has had a bit of an extreme reaction to seeing herself on the wall at Chipotle, and is suing the company for $2.2 billion. The lawsuit [PDF], first filed in a California District Court but recently transferred to Chipotle’s home state of Colorado, claims that the burrito chain used the woman’s photo for marketing purposes without first asking her permission. 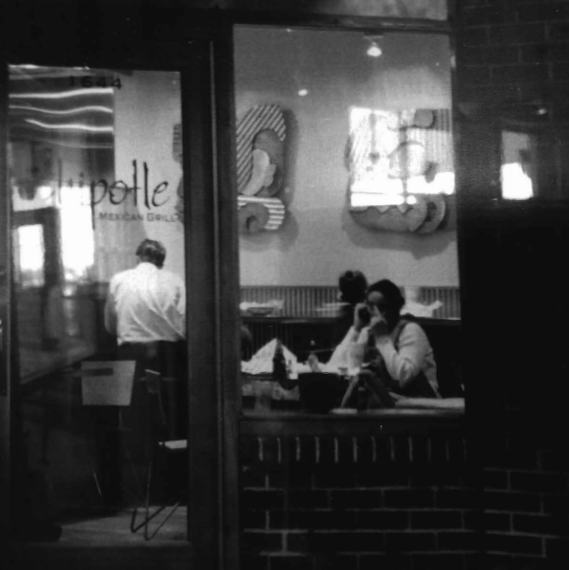 According to the lawsuit, a photo of the woman was snapped without her consent at a Denver-area Chipotle restaurant in 2006. The woman claims in the suit that as she was leaving the restaurant she was approached by a photographer who asked her to sign a release for some photos he had taken. The woman says she refused to sign the release. Despite this, the woman says that eight years later, in Dec. 2014, she was shocked to recognize herself in a photograph on the wall of a Chipotle in Orlando. Over the next few months, the suit claims the woman found the photos in additional restaurants in California. The photo, she claims, had been edited to add texture to her hair, people in the background, and beer bottles in the foreground that were not present in the original setting. The suit claims that by adding the bottles to the photo, Chipotle put a false light upon her character associated with consuming alcoholic beverages. According to the complaint, Chipotle purchased the photo without verifying whether or not the woman had signed a release for her image to be used, and has used her likeness in marketing materials since 2006. The woman claims that by using the photo without her permission, she has suffered injuries in commercial appropriation and invasion of privacy. Additionally, the woman claims that because the company used the photo to make profits she is entitled to those funds. In all, she is seeking $2.2 billion — equal to Chipotle’s profits from 2006 to 2015.